The Fabric of The Cosmos, the four-part follow up to acclaimed physicist Brian Greene's The Elegant Universe, takes an intensely in-depth look at all we think we know—and then turns it upside down. So in the weeks leading to the November 2 series premiere on PBS, we'll be giving you a brief primer on what to expect from each brilliant episode. Part one asks the seemingly innocuous question "What is Space?" Is it the stuff that all New Yorkers pay too much for? Is it that terrifyingly empty place that exists in excess above our heads? 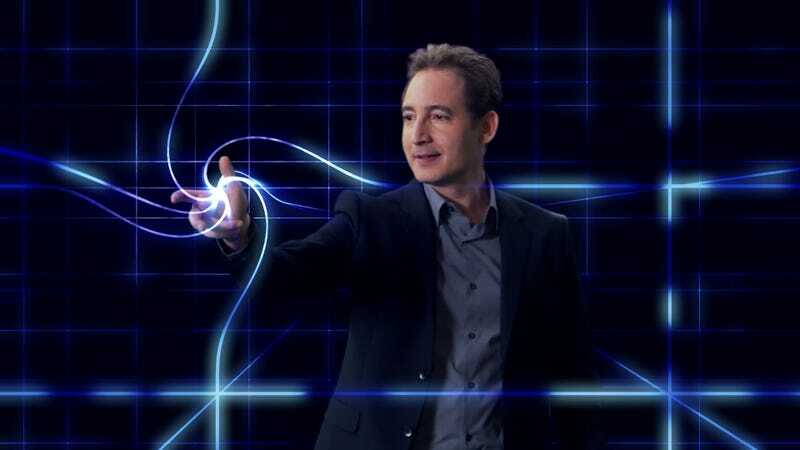 Using mind-bending logic and jaw-dropping visuals, Brian Greene takes viewers across a stellar landscape as he explains all the dynamic folds of the universe. Follow along as he explains the strange science behind black holes, delves into the mysterious ever-expanding stuff known as dark energy, and talks about all the seemingly crazy theories that physicists are finally starting to validate. Check out the trailer to the left, then head here to get up to speed on the very real science behind the series. And don't forget to tune in to NOVA's presentation of "What Is Space," the first episode in The Fabric of The Cosmos series on Wednesday, November 2 at 9/8c. Only on PBS.